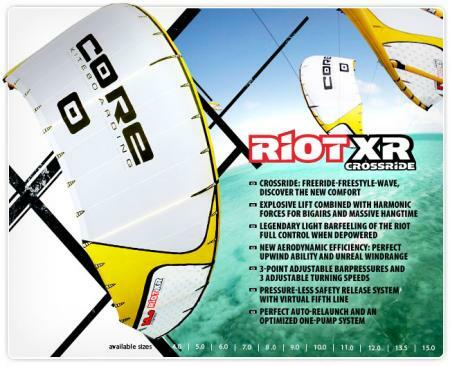 Riot XR – experience the new Freeride Convenience! Crossride – this sums up the Riot XR – Freeriding, Cruising, Carving, easy Wave and Hangtime; which in no way excludes Free-, Wake- and Newstyle! The (until now absent) Synthesis – predominantly from the modern Delta with the control of the Bow and enough C-Kite feeling – lends itself to the Freerider who wants performance with Comfort and endless Control. What aspects of the legendary RIOT are incorporated in the design? 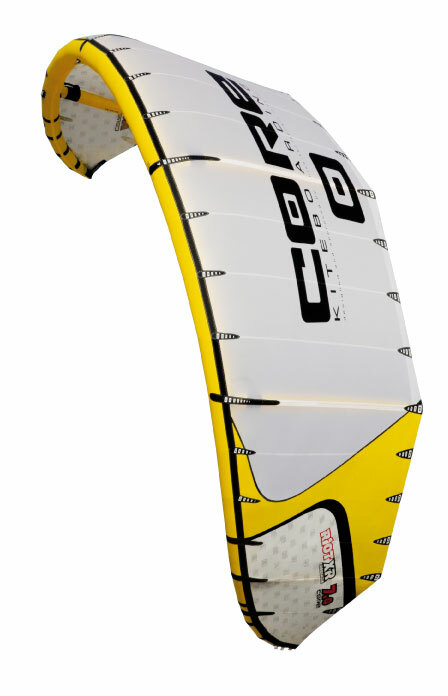 The unmatched light bar pressure as well as the Ease and Safety of the Kite. In addition to these the RIOT XR has noticeably improved bar feedback especially when depowered - this makes Wave riding an absolute pleasure. 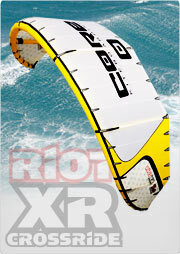 This kite is aimed to give you a comfortable ride and performance with limitless control. New and exclusive are the three-step adjustable Bar-pressure of the Kite as well as the three adjustable turning speeds. In this way the RIOT XR achieves new Kiteloop and Wave performance levels, Hooked/Unhooked for smooth, quick and on demand turning of the Kite.